we have been your front end specialists since 1954! Lake’s Alignment Service has offered the best in suspension, alignment and tire services for residents of East Dublin, GA and the surrounding area since 1954. We are located behind Thomas Auto Supply on Johnson Street. Stop in and see us when your ride becomes rough, tires start to suffer or your brakes need replacing. We promise you’ll only get the best possible service from our friendly, honest, experienced staff! When your vehicle needs suspension repairs, brake repair or wheel alignment service in East Dublin, GA, it’s important to trust professionals with years of proven success. Lake’s Alignment Service welcomes your vehicle—no matter the make, model or year—and will deliver the high-caliber services needed to ensure it drives away safely and smoothly. For decades, our shop has been one of the most trusted garages in East Dublin and today, we pride ourselves on delivering best-in-class services to both new and returning customers. From alignments to suspension work, brake jobs to tire sales, you won’t need to look anywhere else for expert wheel and undercarriage services. Many of our employees have been with the company since 1975, boasting decades of professional experience! 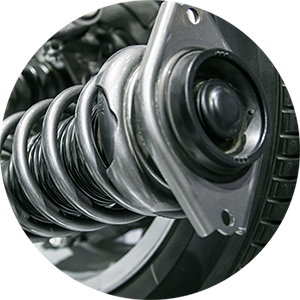 We use state-of-the-art equipment and rely on tested diagnostics to quickly get to the bottom of alignment and suspension issues ($15 fee). We’re proud to offer honest, dependable services. We don’t work on commission, which means we’ll never sell you anything you don’t need! We offer specials including a free rotation with the purchase of 4 tires. Our facilities are equipped with a clean, comfortable waiting room for your convenience. When your vehicle needs alignment or suspension work, brakes or tires, choose Lake’s Alignment Service. We’ll get it running safely and smoothly again in no time at all. "I've been using Lake's Alignment Services for 25 years. Always fast, friendly and fair. Prices are competitive and I can trust them. You can..."
"I have used Lakes all my life and I am 75 years old. I remember my dad going there when I was a teenager. One of the only places I will take..."
"They came highly recommended, their service is fast and friendly, their PRICES are GREAT. They tell you what you really need instead of what..."